Saturday, April 13th is my birthday. I will be 42-years-old. Originally, I thought about writing a post entitled “42 and Menopause” to mark this occasion. But the more I considered this, the more I realized that I did not want to focus on something that causes much grief for many childless women. Don’t get me wrong. We should talk about menopause and all issues related to women’s health. I just wanted my birthday post to be about who I truly am, rather than something that is happening to me. 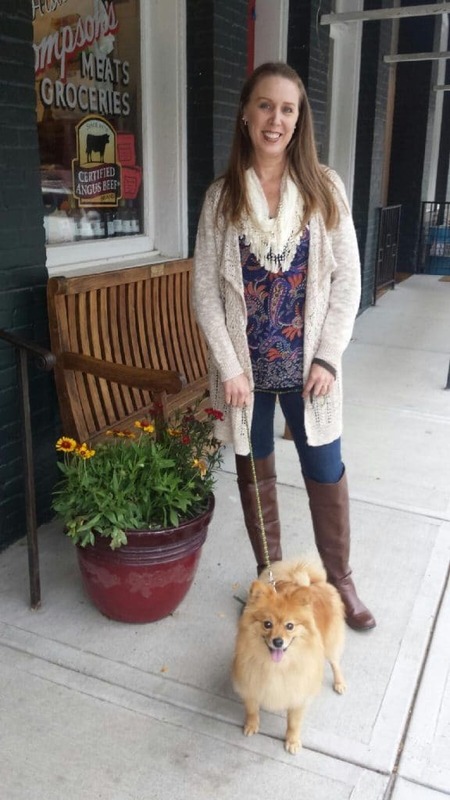 As I left aerial dance class, my pink purse slung over my arm, taking a drink from my pink water bottle and wearing my pink tennis shoes paired with the t-shirt emblazoned with a martini that we bought while celebrating our childfree Halloween in New Orleans, I realized that I really am embracing my childless life. I am living my life, my way. And it dawned on me. I’m not 42 and menopausal. I’m not even 42 and childless. I am 42 and more than childless. One of the places I feel most like myself is at aerials. It is where I harness my inner goddess and push myself, proving that I can do anything I set my mind to. But I’ve realized that is a good thing. Over the years, I had become quite cautious. I didn’t like to do things that I wasn’t good at. And if I wasn’t sure if I was good, I simply didn’t do it. I had become quite timid. My inner goddess buried deep within. With encouragement from my aerial teachers, however, I took a leap of faith and began rehearsing for my first sling performance. Quite uncertain that I had the stamina or strength to perform for three and a half minutes, I trusted my teachers when they told me I could handle it. During class, I huffed and puffed. I messed up and made faces. Occasionally, a swear word even flew from my mouth! (Not common for me, but S.O.B. happens when I’m really frustrated…) But I kept going. I kept trying. I was determined to figure it out and perform! And you know what? I did it. I built up my strength and stamina, learned all the moves, and did a solo performance at the end of August 2018. And it was one of the most amazing moments of my adult life! But this experience was so wonderful that I didn’t want to ruin it by focusing on one tiny, little flaw. And so, I changed perspective. I realized that the little wobble is actually what makes this performance perfect. Because that little wobble reminds me that life is imperfectly perfect. Stuff happens. But that doesn’t mean everything is ruined. It just means there was a bump along the way. 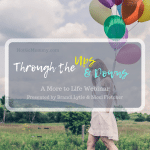 And this entire aerial performance journey—from I don’t know if I can do this to almost perfect performance… Well, isn’t that what the childless journey is like? A huge bump hit when Dane and I realized that “doing this” meant accepting a childless life. 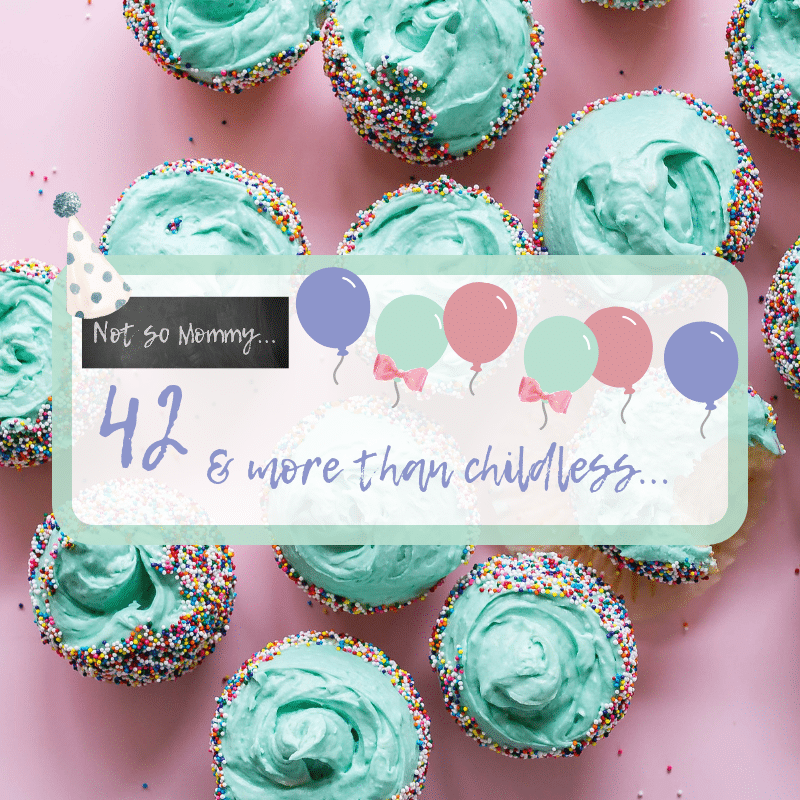 I am 42 and more than childless! 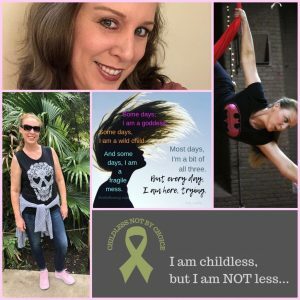 I am 42, and I am more than childless! 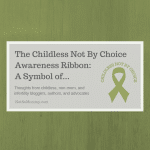 Fabulous ones, recently I created several Facebook frames with the olive green Childless Not By Choice Awareness Ribbon. 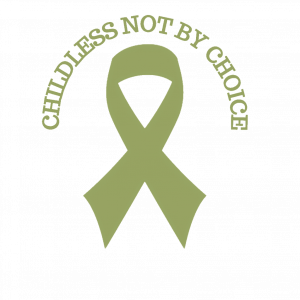 One of them (shown above) includes the statement, “I am childless, but I am NOT less…” It would be an amazing birthday present if you lovely ones would flood social media with the CNBC ribbon! Let’s show the world what being childless really looks like! 42 never looked so good! !💚💚 Can’t wait to see your next aerial performance. So very proud of all your accomplishments, big and small. You are amazing! Happy Birthday for Saturday! And yes, I always think this is an important part of our journey too. Realising that being childless is not who we are, it is simply a part of who we are, and we are so much more. So I’m glad you focused on that for this post. Thank you for reading, Mali! I’m glad you liked the post, and I love your comment–“[being childless] is simply a part of who we are…” Very, very true!